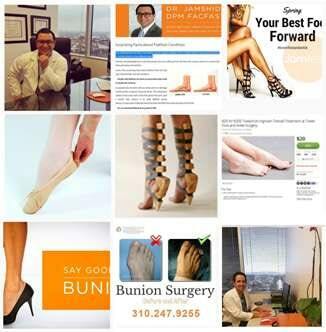 Tailor’s bunion, commonly referred to as a bunionette, is a bony prominence seen on the little toe of the foot. As the bones in your foot shift this causes a prominence on the outside of the foot to cause pressure and friction against your shoes. The major complaint from tailor’s bunion can range from vague and mild discomfort to severe debilitating pain in and around the small bones and joint of the little toe of the foot. Patients often describe the pain as throbbing, cramping, or piercing. There is no exact cause of Tailor’s bunion. It can form as a result of many internal and external factors. There are several symptoms which may point to a diagnosis of tailor’s bunion. These symptoms tend to occur when you wear shoes that rub against the bony prominence over the little toe, irritating the tissues underneath the skin, causing inflammation. Most patients respond very well to non-surgical treatment options offered to them by Dr. Jamshidinia. 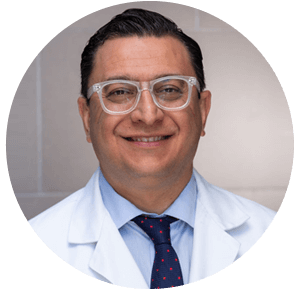 In the cases where surgical removal, or tailor’s bunionectomy is needed, you can rest assured you’re your feet are in the highly skilled, experienced, and certified hands of Dr. Jamshidinia at Tower Foot and Ankle. Switch Shoes – Wear comfortable shoes that provide enough room for your foot. Avoid tight fitting shoes with narrow toes or high heels. Avoid Stressors – Avoid activity known to cause bunion pain, including standing for long periods of time. Nonsteroidal Anti-Inflammatory (NSAIDS) – oral medications, such as ibuprofen or aspirin, may be recommended to reduce pain and inflammation. RICE: Rest, Ice, Compression, Elevation – Getting adequate rest, applying ice packs, wrapping the area with a compression bandage, and elevating your leg may all alleviate the symptoms. Corticosteroid Treatment – Injections of corticosteroids may be useful in treating the inflamed area of the foot. Custom Orthotics – Custom shoe soles can be used to target the symptoms caused by a tailor’s bunion.